These “Two Little Blackbirds” are named Jack and Jill. They fly away and return over and over as they build their nest, hatch their eggs, and teach their babies to fly. 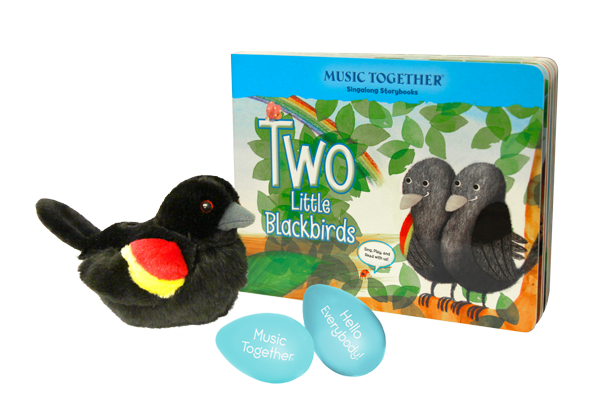 Explore some adult-child dramatic play with this fun and plush blackbird, especially as you read and sing our Singalong Storybook Two Little Blackirds. 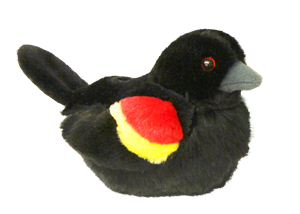 Bring the beauty and magic of the bird kingdom into your home with Wild Republic’s 4.25” x 7” soft-plush red-winged blackbird with realistic coloring and markings provided by the National Audubon Society. A gentle squeeze of this enchanting bird produces a special surprise—the actual call of the red-winged blackbird, as provided by the Cornell Lab of Ornithology! 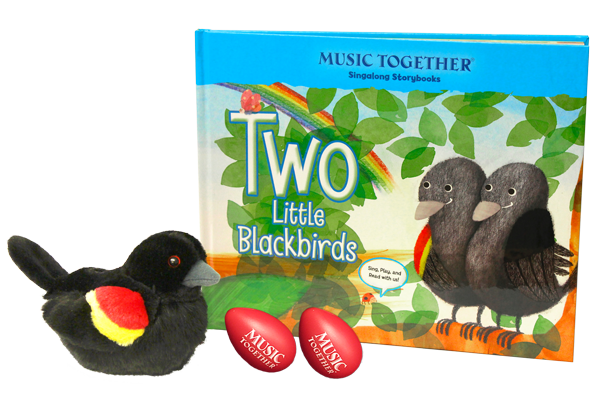 Explore some adult-child-bird dramatic play, especially while you read and sing our "Two Little Blackbirds" Singalong Storybook. Age-rating: 3+.